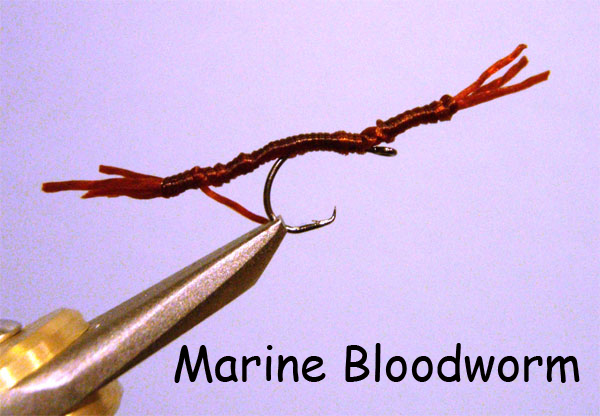 Marine Bloodworm tied using the pin method. 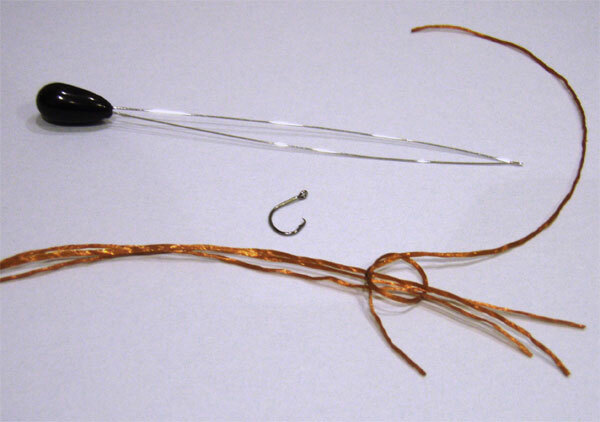 1) Clamp a sewing needle horizontally in the vice jaws and lubricate with a little saliva or Vaseline. 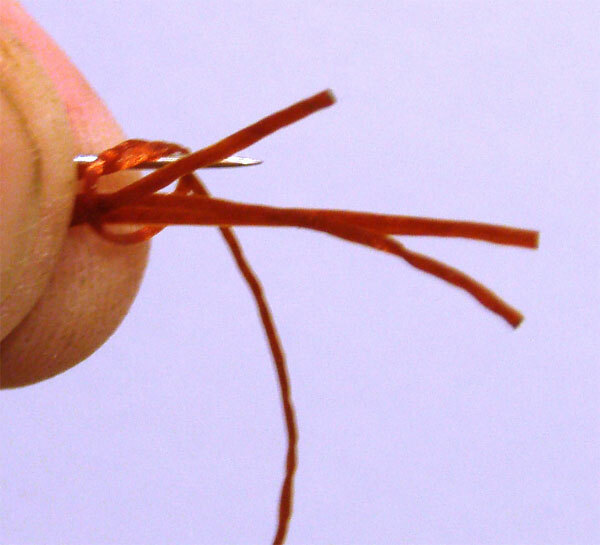 3) Place 3 to 5 strands of the floss lying together on the tying surface. 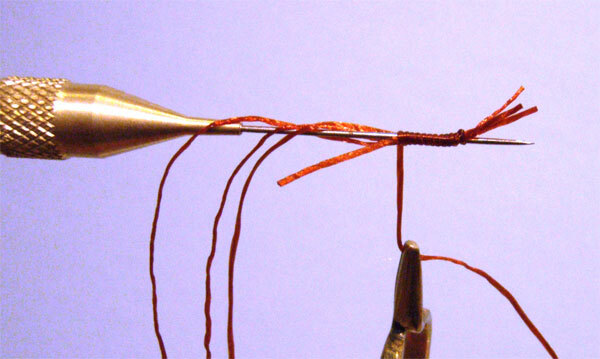 Take another piece of floss and tie a loose half hitch at one end. Feed the ends of the 3 to 5 prepared strands through the half hitch with the long side to the left and the ends protruding by about 5mm. 4) Gather the bunch behind the half hitch between left hand thumb and forefinger. 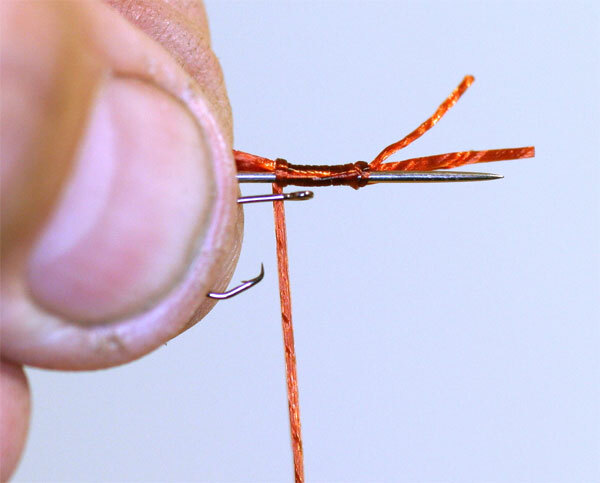 Being careful not to inject yourself bring the end of the needle through the half hitch. 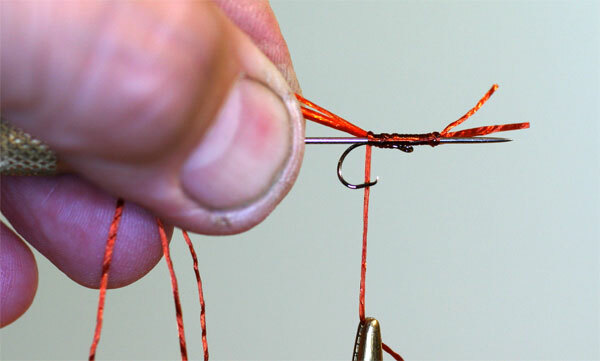 The long ends of the 3 to 5 strands should be parallel with the needle, short ends protruding past the needle point with the long end of the floss with the half hitch hanging free. 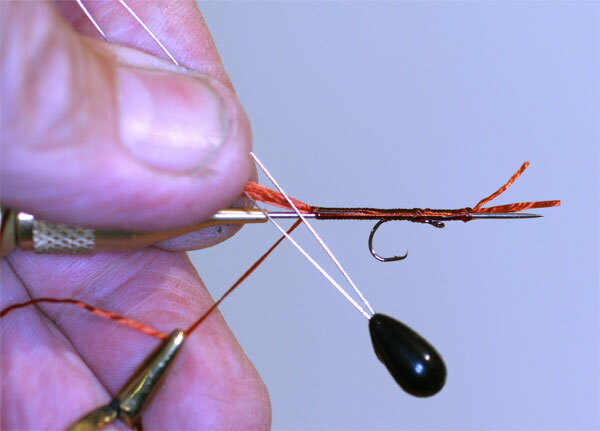 5) Pinching the bunch to the needle take the long end and tighten the half hitch. Begin winding the long end back along the shank of the needle in close wraps. As soon as you have a few tight wraps stretch the 3 to 5 strands to the left as you continue wrapping the long end back. 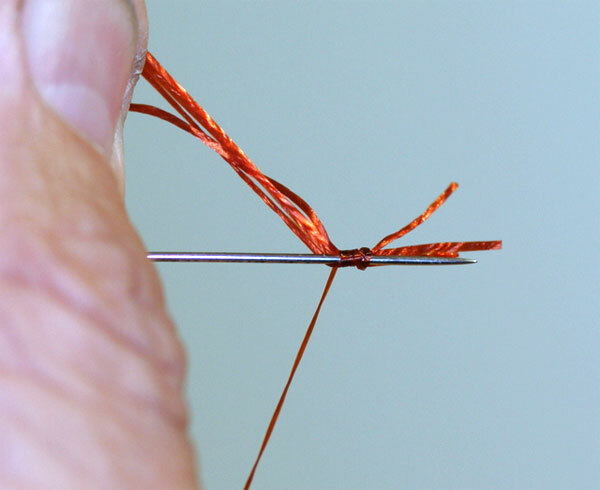 6) Once you have about 5 to 10 mm of tight wraps clamp your hackle pliers onto the piece of floss being used for wrapping. Let this hang, the weight of the hackle pliers should prevent unravelling. Place the hook with the eye toward the point of the needle. Hold it in place with the left hand. 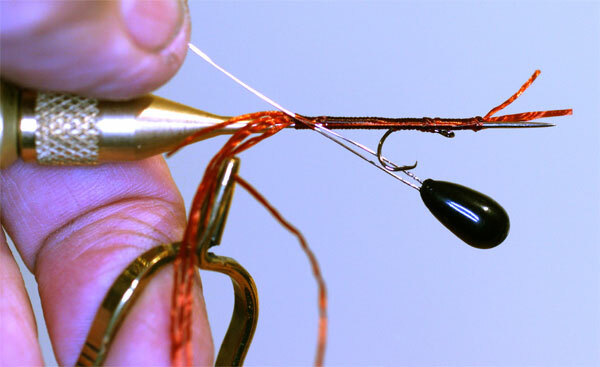 8) Place the bobbin threader at a 45 deg angle to the left across the pin and at a point where the winding is. Wrap about 3 wraps over the pin the body and the bobbin threader. Push the end of the wrapping floss through the bobbin threader and pull the end back through the winding forming a neat finish. QED Keep practicing, it's worth it.